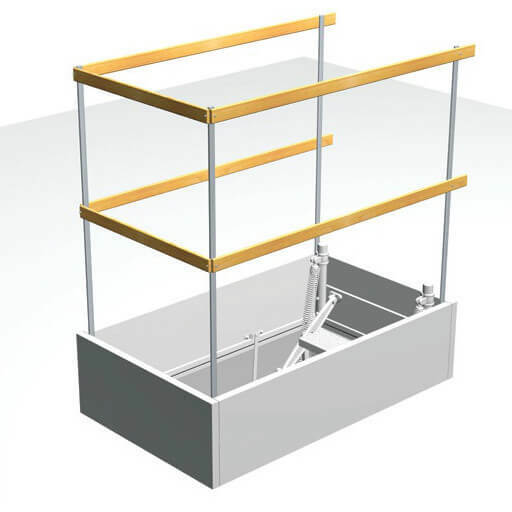 The steel fire rated loft hatch is certified by MPA Braunschweig for either 30 minutes from below (F30), 60 minutes from below (F60) or 90 minutes from below (F90). The fire resistant hatch is suitable for installation in concrete ceilings only. It is made-to-measure and supplied as a ready to fit unit. 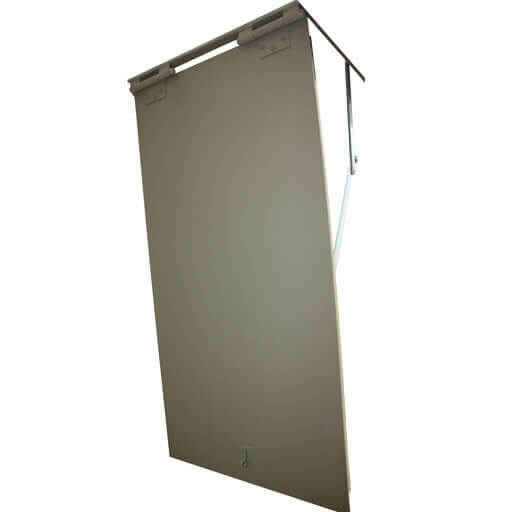 The insulated steel trapdoor provides good energy efficiency. Fire rated for either 30 minutes, 60 minutes or 90 minutes. Good thermal efficiency of 0.57W/m2K for the F30 version and 0.93 W/m2K for the F60 & F90 versions. Steel loft hatch painted with grey primer. Made-to-measure with a range of options and accessories. Fire resistant loft hatch – available certified to 30 minutes (F30), 60 minutes (F60) or 90 minutes (F90). Energy efficient (U-value of 0.57 W/m2K for the F30 version and 0.93 W/m2K for the F60 & F90 versions, calculated by manufacturer according to DIN EN ISO 6946), reducing loss of heat and lowering energy costs. The steel fire rated loft ladder is ordered made-to-measure for opening sizes from 780mm to 1600mm long and from 595mm to 1200mm wide. The case (hatch box) height ranges from 240mm to 1170mm deep. Please contact us to discuss your requirements and to arrange a quotation. 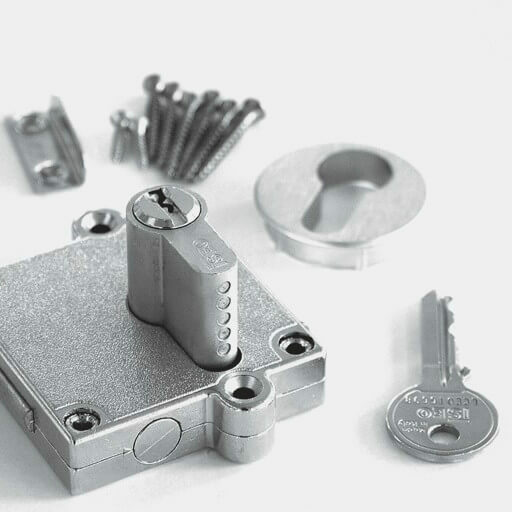 The following accessories are only available for order with a steel fire rated loft hatch. Please make sure to add the required accessories to your cart before checkout, or contact us directly to discuss your requirements. Please refer to the Designo loft ladder drawing (below) for details of the insulated loft hatch. Premier Loft Ladders, 2 Dawson Drive, Trimley St Mary, Felixstowe, Suffolk, IP11 0YW. Could this be the loft ladder of the future?